Information reaching Adayinfo News has it that Abia State Government led by Governor Okezie Ikpeazu allegedly spent above Five Hundred Million Naira (N500M) to host the Abia Media Tour that held few days ago, this N500M was spent on the media jamboree despite the salary backlogs in the state. Based on our interaction with one of the Governor Okezie Ikpeazu’s highly valued media professional from Lagos who wants to remain anonymous, he described the media jamboree as a waste of Abia State scares resources considering that the so-called projects inspected were low leveled and does not match with other projects executed by even nearby state like Ebonyi state. “These projects are obviously child’s play with what other state have executed, just go to Ebonyi state and see the wonders Umahi has done and he has not called for a media tour. But, your governor being a local champion, called a media tour to showcase few completed roads and so many uncompleted badly constructed jobs. 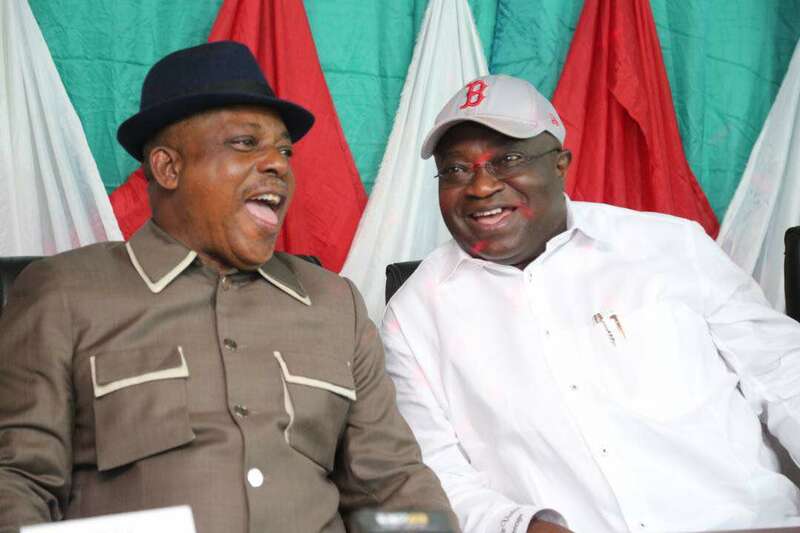 He just wasted Abia State resources, and I can tell you it will not go far” he said. “I cannot really say, I was paid some few millions to come and see the projects and my station will be paid millions to aired it, I am aware that the PDP National Chairman also came and participated in the tour, I saw other prominent individuals from Abia State in the tour. I will place the tour at about N500M, if not more considering the activities I saw. I was paid money in advance, my flight ticket paid for, my hotel room paid for and I was still given money to go back. I see all these as waste of Abia State resources because these projects are not worth to be showcased for now” he concluded. Based on the information gathered by Abia Facts Newspaper, more than 150 traditional rulers from all over Abia State were invited for the tour, PDP national executive council relocated to Abia State, close to 100 clergymen were invited and so many notable Abians from all works of life and they were all paid ahead, though not all invitees attended. All of these people were accommodated in hotels in Umuahia and given logistics allowances which ran into millions of Naira. Just recently, Abia State Teachers lifted their strike due to backlog of unpaid salary which are yet to be paid. , Abia State Teaching Hospital workers are owed for 7 Months; Abia Poly, LGA Staff, Pensioners and many other Abians are still being owed for between 4 to 8 months. Yet, the governor, who is seeking for a 2nd term has spent a whooping sum over N500M for media tour, is this wise?